Fruit bases are solid pack fruit in their natural juices. Making wine with them is much like processing fresh fruit in that the winemaker needs to crush and press. Includes recipes and instructions for making a 3- or 5-gallon batch. Vintner’s Best Apple Wine Base 128 oz. Vintner’s Best Apricot Wine Base 128 oz. Vintner’s Best Black Currant Wine Base 128 oz. Vintner’s Best Concord Grape Wine Base 128 oz. Vintner’s Best Elderberry Wine Base 128 oz. Vintner’s Best Mango Wine Base 128 oz. 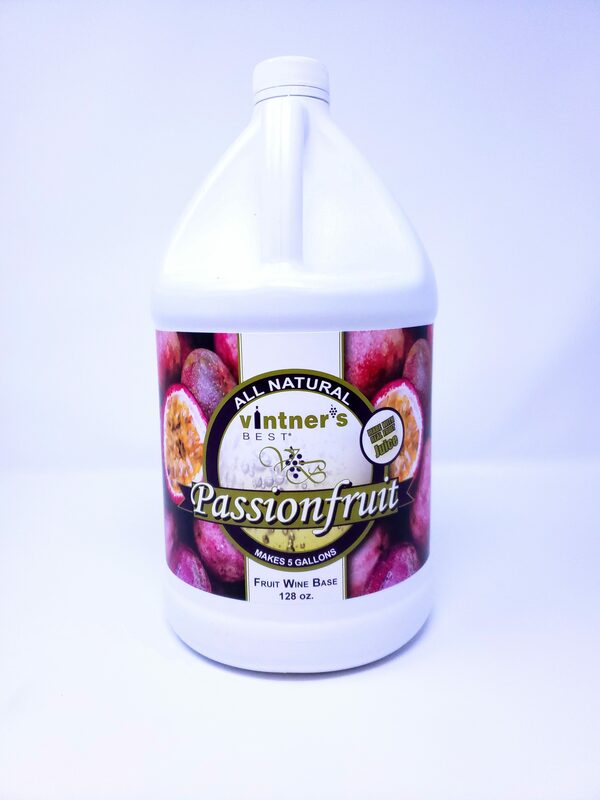 Vintner’s Best Passionfruit Wine Base 128 oz. Vintner’s Best Peach Wine Base 128 oz. Vintner’s Best Plum Wine Base 128 oz. Vintner’s Best Raspberry Wine Base 128 oz. Vintner’s Best Rhubarb Wine Base 128 oz. 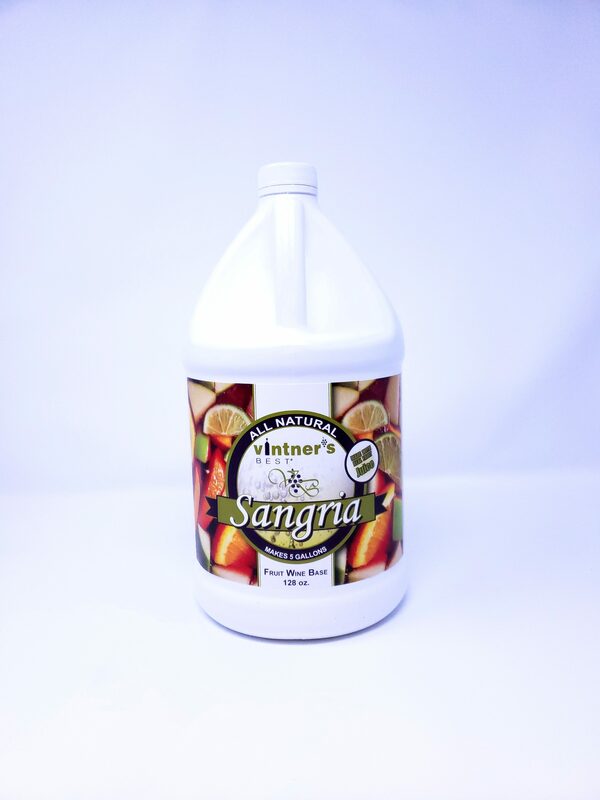 Vintner’s Best Sangria Wine Base 128 oz. Vintner’s Best Strawberry Wine Base 128 oz.